I think those words sum up Ms. July pretty aptly, but I’m not sure they should be applied to this book. I did end up giving it 4 out of 5 stars, but it was a difficult book to judge and in the end the only thing that score represents is whether or not I enjoyed it – and for the most part, enjoy it I did. That said, there were a lot of issues with the book. Most distracting was the fact that much of it felt more like notes the author had jotted down to help her write a book, as opposed to a finished and polished piece. Admittedly, this is clearly supposed to feel sort of stream-of-consciousness and less polished versus more, and in some parts it worked. In some parts, the style felt honest and gave me the feeling that I was spying on someone’s conversations and peeking into their diary. On the other hand, there were definitely sections that could use some serious cuts and some that needed a lot more fleshing out. The author seemed to be able to spot an interesting tidbit of conversation, or a unique way of summing something up, but I don’t think her and I agree on the best way to showcase these things. There were moments when she went on and on about something that seemed innocuous, only to eventually get to a payoff that seemed it could have been arrived at in a much more direct way. Other times she seemed to get from Point A to Point B before I even realized she’d taken off. Overall I’m glad I read this book and I found the quirkiness to be more good than bad, but I’m not sure how wide the audience is for this book. I would say that if you like Miranda July you’ll probably like this book, but based on other reviews it appears that’s not necessarily the case. I’m not sure why I didn’t love this book. The writing is concise and the dialog is excellently crafted. The story is that of a family living in an area that’s completely foreign to me – and largely to them as well – which is a scenario I typically find intriguing. Yet, for some reason, I was underwhelmed with this book. Maybe it was the angsty teenager, who was so passionate about creating a realistic sea-faring world that he gave himself scurvy and documented his own decline. 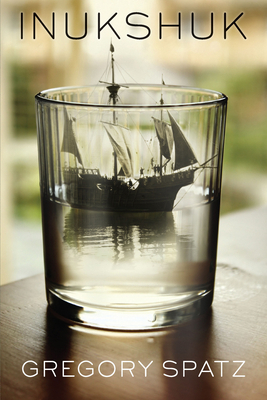 Perhaps it was the many excerpts from the sea-faring manuscript the son was writing, which were typically dull and rarely added anything relevant to the story. Or maybe I just couldn’t stand the father, who seemed so damn resigned and apathetic to his life, and just generally clueless when it came to the health and well-being of his son. I would completely understand why someone would like this, because the formula is mostly there. But in the end it just didn’t quite work for me. If you’re looking for a non-fiction book that’s brilliantly written and will make you simultaneously want to take to the streets in complete frustration and also just totally give up on the world, or at least the U.S., then this is the book for you! Yay! I was lucky enough to be selected as a giver on World Book Night this year, and of all the fantastic books I could choose from, this is the one I chose. Why? Because it’s so expertly crafted, it’s so jaw-droppingly shocking, and most of all because it’s important. As I was handing out free copies of this book at my local El station, virtually everyone who took one first asked me what it was about. You’d think I would have planned ahead and come up with a few pithy lines to describe it, but it’s really difficult to explain what this book is about without making it sound really unappealing. 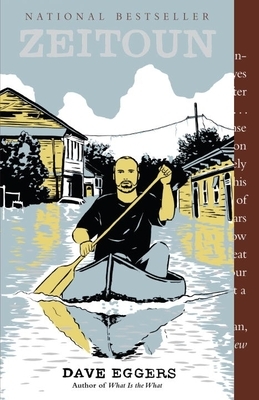 Basically, Zeitoun is a Muslim immigrant who lives in New Orleans when Hurricane Katrina hits. Despite the pleas of his family, he stays around to help the community and his clients (he’s a contractor / fixer guy). Things do not go well for him. I don’t want to give away too much about this book, so telling you that people who answer to the United States government did not treat him with respect, or even really treat him like he was human, will have to suffice. This is a story that you wish were fiction, this is a story that should have been on the cover of every newspaper, this is a story that still makes me feel completely gross to think about. Difficult to put down and impossible to forget, Zeitoun is highly recommended. 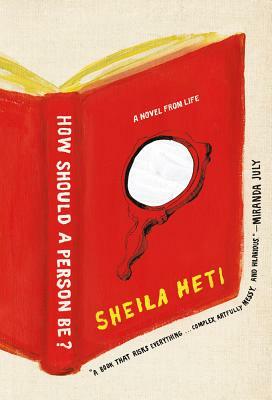 This entry was posted in book reviews, books, chicago, favorites, fiction, non-fiction and tagged book review, books, eggers, fiction, heti, literature, miranda july, non-fiction, spatz. Bookmark the permalink.